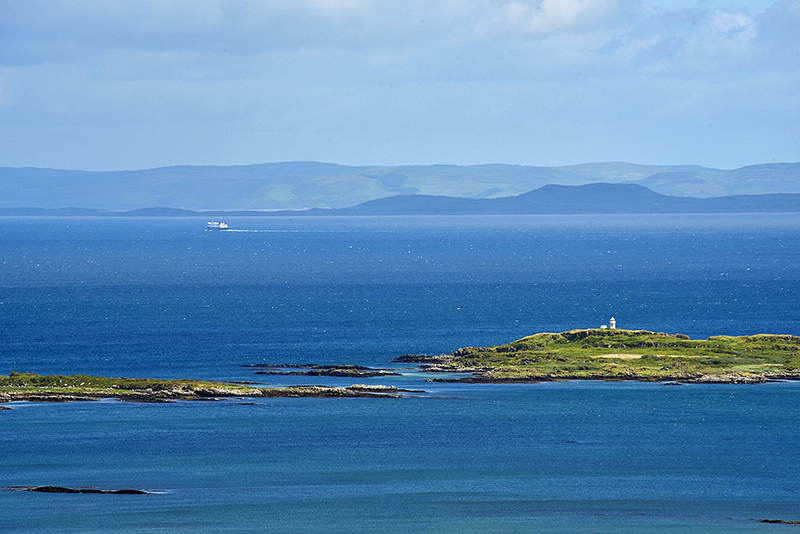 A view south east from the hills forts in the south east of Islay, looking over the Southern Skerries. 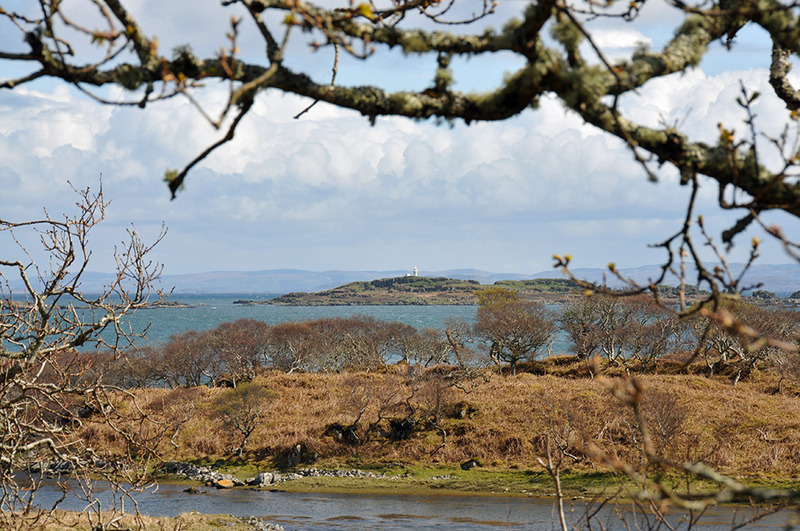 The bigger one further out is Eilean a’ Chuirn with the lighthouse, between it and the coast is Eilean Craobhach. 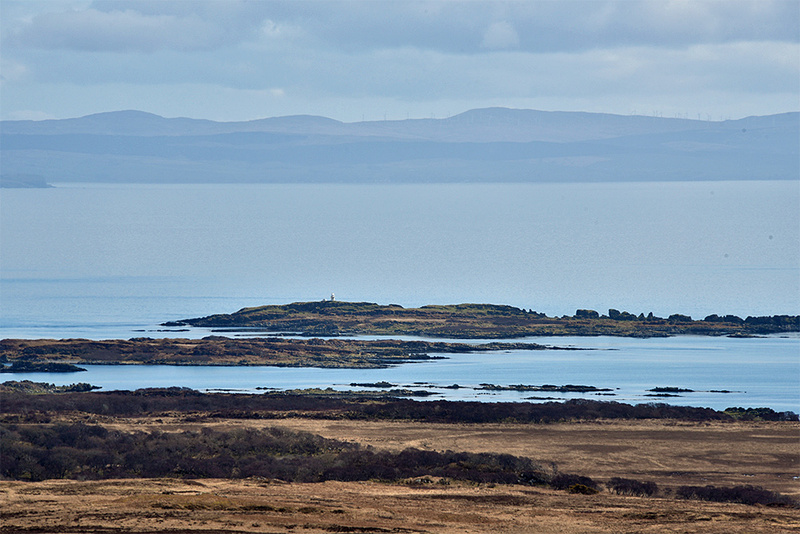 In the far distance Kintyre on the mainland.